Padmashree Langpoklakpam Subadani being honoured with a cash reward of Rs 1 lakh. Manipur Minister for Public Works, Power, RD & PR, Information & Public Relations, Administrative Reforms, Textiles, Commerce & Industry Th Biswajit Singh on Saturday felicitated Langpoklakpam Subadani Devi on being awarded Padmashree this year. “Felicitated Langpoklakpam Subadani Devi on receiving Padmashree today. This recognition has proved to the country that Manipur has a rich cultural heritage in the field of traditional handloom,” tweeted Manipur Minister Th Biswajit Singh on Saturday. “Congratulation and best wishes for her future endeavour,” he further tweeted. Department of Textiles, Commerce & Industry, Government of Manipur during the felicitation programme. Langpoklakpam Subadani Devi is a traditional weaver from Manipur. Devi has been awarded Padmashree for her contribution towards the art of weaving and for promoting and preserving handlooms in the traditional way. Besides Langpoklakpam Subadini Devi, sports personality Saikhom Mirabhai Chanu was also conferred Padmashree award for her contributions and exceptional achievements in the field of sports. Earlier, Manipur Chief Minister N Biren congratulated Chanu and Devi on conferring Padmashree Award for the year 2018, which was announced on January 25, a day ahead of the Republic Day celebrations. In his congratulatory message, the CM had said the whole State feels proud of Saikhom Mirabhai Chanu and Langpoklakpam Subadani Devi on receiving one of the country’s highest civilian awards, Padmashree. Chief Minister N Biren also mentioned that the star weightlifter Mirabai became the second woman from India to win gold medal at the Senior World Weightlifting Championships after Karnam Malleswari. The CM also stressed that Langpoklakpam Subadini Devi, a traditional weaver has got many prestigious awards including Sant Kabir Award in Handloom for promoting and preserving traditional way of making clothes. 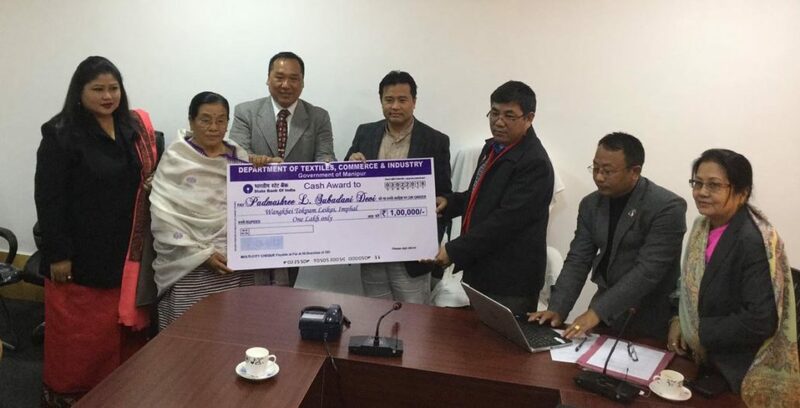 N Biren Singh had said that such recognition has once again proved to the country that Manipur has rich cultural heritage in the field of art and culture and is the sports powerhouse of the country.